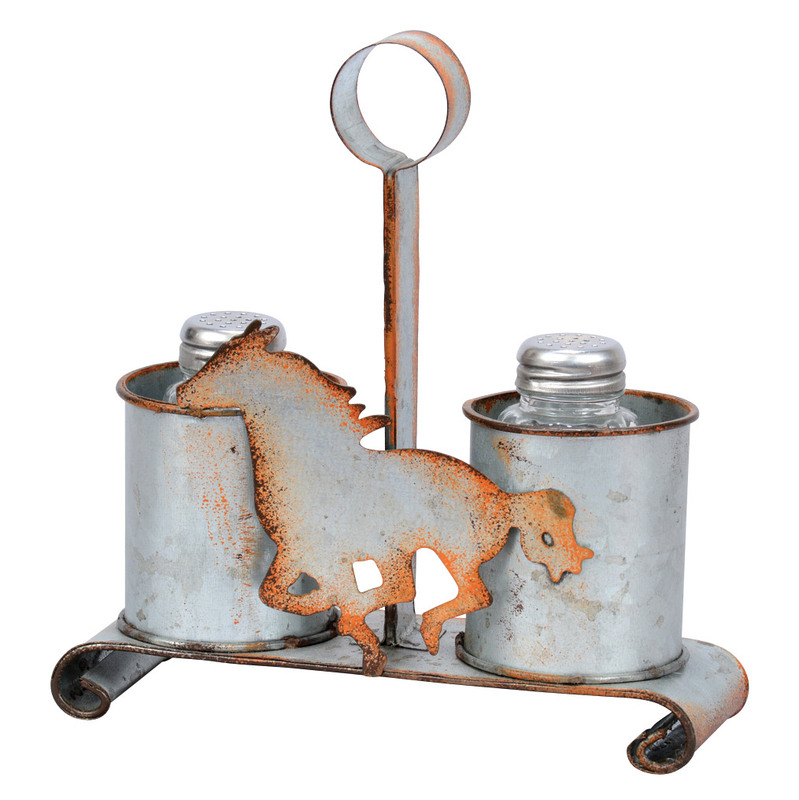 A Lone Star Western Decor Exclusive - Add an equestrian touch to your table with this metal holder featuring a horse silhouette and rust-tone details. Glass shakers included. 6 3/4"W x 2 1/4"D x 7"H.